As you know, we are always happy to post information for oyster related non-profits on our blog. 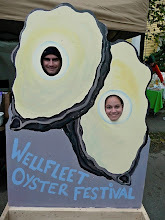 Recently, the Massachusetts Oyster Project joined Facebook and we'd like to encourage you to be a part of the page. Simply click on the "like" button below. To learn more about MOP, visit the new Facebook page or visit the MOP blog by clicking here. They have a great event planned at the Harpoon Brewery in early 2011. Hope to see you there!